Feng Shui Consultants of Boca Raton and Zen Appeal Feng Shui Blog archiving our monthly e-newsletter and notifying you of Zen Appeal website updates and new Feng Shui products. Don't seat people too far from each other. Your guests shouldn't need a megaphone to communicate. Follow this general Feng Shui rule: for ideal communication people should be close enough to be able to hold hands. Hand holding not necessary. Need help finding a Feng Shui gift for a business associate or a Feng Shui item for a specific Feng Shui Business cure? Now we have a Feng Shui Business Cures page that features Feng Shui products for all of your Feng Shui Business, office or work related needs. Zen Appeal Feng Shui Business Cures page http://www.yourfengshuistore.com/Business-Cures_c_14.html . This June protecting yourself with crystals is hot. The hottest way to protect yourself with crystals this summer is by hanging faceted crystals on a beaded string. Our Swarovski Protection Hanging Crystal is the most unique and artistic way to protect yourself and your family from negative energy, negative people and negative influences. All of our beaded hanging crystals are prettier than the average Feng Shui cure, if I do say so myself. You will find our Swarovski Protection Hanging Crystal on Zen Appeal here http://www.yourfengshuistore.com/Swarovski-Protection-Hanging-Crystal_p_11.html . Meditation and mindfulness does for Ch'i what texting cannot. June's Feng Shui Tip of the Month is our article called "Feng Shui and Children" Read this month's Feng Shui Tip of the Month here http://www.yourfengshuistore.com/Tips_ep_58.html . Please stop by every month to read our tip before it goes away and is replaced by next month's tip. Hope you enjoy the Feng Shui Tip of the Month for June and our new tip every month. My sister told me that I need to have a new Feng Shui consultation because I've gone through so many life changes since my last consultation a few years back. Leslie and Mark, is that true? Thank you for your question. A Feng Shui consultation helps you assess your life and prioritize and focus on your life goals. Your home may not have changed much over the years, but as your life changes your Feng Shui goals change. At the time of your last consultation you may have been single and looking for love. Your other priority might have been to find a new career. Now you might be happily married and settled in your career. Your Feng Shui goals might include children or career advancement. These life changes would suggest a new focus in the way you look at your home from a Feng Shui perspective with your Feng Shui consultant. For information on our Feng Shui Consultation process please see our In Person Feng Shui Consultation Process page http://www.bocafengshui.com/process.html . To make an appointment please e-mail us at BocaFengShui@yahoo.com or call us at 561-376-4730. For information on our Online Consult process please see our Feng Shui E-Consult Consultation Process page http://www.bocafengshui.com/eprocess.html . Do you have a Feng Shui question you would like us to answer? Please e-mail us your question at BocaFengShui@Yahoo.com and your question and answer could be chosen for our newsletter. We have recently added a new item at Zen Appeal. Our new Wind Chime is on our Feng Shui Bells page http://www.bocafengshui.com/bells.html . Zen Appeal has a page dedicated to special sale items, each available for a limited time only. Sale items come and go without warning, so please check the page often and enjoy the big discounts! Here's the link to the Zen Appeal Sale Page http://www.yourfengshuistore.com/On-Sale_c_23.html . Featured Sale Items include - Painted Royal Elephant, Chinese Coin Cord Necklace with Knot, Silver Floating Heart Charm, Turtle Family, Fertility Elephant Key Chain, Mandarin Duck Charm on Leather Cord, Money Luk Coin Hanger, Large Chinese Coin on Red Cord, Feng Shui Wealth Handbag, Evil Eye Protection Set, Pagoda Dragon Bell, Kwan Yin Hanger, 20 mm Swarovski Hanging Crystal, and more! Savings up to 50% off on some items! Some of our most popular items are on sale! Sale Prices starting as low as $2.50! Plus our 1 Inch Coin Bulk Buy Deal and special Buy One Get One Free Lucky Cat deal. All on our Feng Shui Sale page http://www.yourfengshuistore.com/On-Sale_c_23.html . Fr*ee Shipping with Every Order $50 and above! Recently some of our popular items have unfortunately been discontinued by our suppliers. We have limited quantities of the following items available: Lucky Cat Wish Box, Angel Believe in Tomorrow, Painted Royal Elephant, Clearing Confusion Spray, Evil Eye Necklace, Chinese Calligraphy Bracelet, Longevity Bracelet, Angel Within You, Balance Spray, Three Immortals, Power Silver Necklace, Small Chinese Jade Elephant, Feng Shui Wealth Handbag, Clearing Anger Spray, White Lucky Cat Happy Business, Feng Shui Dragon Sword, 3-D Dreams Dream Catcher, Healing Feminine Spray, Silver Floating Heart Charm, Swarovski Crystal Heart Necklace with Rose Pendant, and Swarovski Crystal Heart Necklace with Aurora Borealis Pendant. Check out our Feng Shui Blog at http://fengshuiconsultation.blogspot.com . We have continued to post on our Blog about our site updates. We also post updates when new products are added to Zen Appeal and when both the Zen Appeal Sale Page http://www.yourfengshuistore.com/On-Sale_c_23.html and Feng Shui Tip of the Month http://www.yourfengshuistore.com/Tips_ep_58.html are updated. Currently our Blog has archived newsletters June 2008 - May 2011. Our Blog links to our Zen Appeal Facebook page https://www.facebook.com/zenappeal and Feng Shui Hangout our Facebook group https://www.facebook.com/groups/79497550403/ , where you can comment and ask us questions that we will answer. Please continue to enjoy! Feng Shui Consultants of Boca Raton and Zen Appeal have added a new item at Zen Appeal. 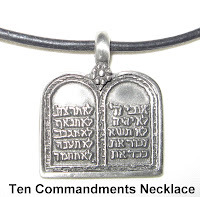 We have added the Ten Commandments Necklace to our Jewish Jewelry by Leah Malia page http://www.bocafengshui.com/jewishjewelry.html . 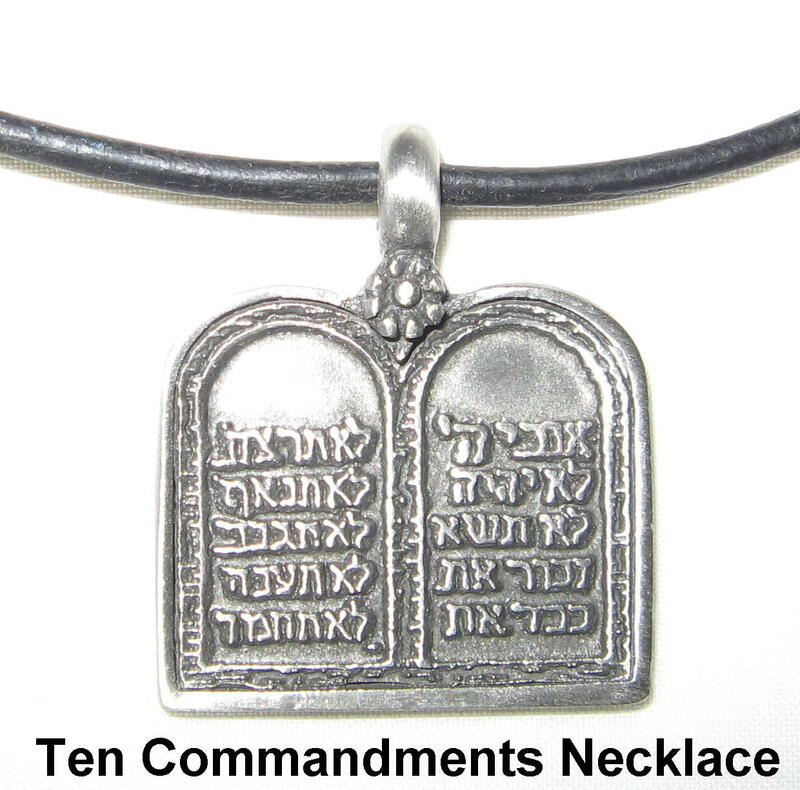 The Ten Commandments Necklace is the perfect tool to remind you to stay on the right path and to help you feel your connection with G-d at all times. Now let's all be good boys and girls and stop breaking all those Commandments! Feng Shui Consultants of Boca Raton and Zen Appeal have added June's Feng Shui Tip of the Month. Please visit http://www.yourfengshuistore.com/Tips_ep_58.html to read it and find out how to apply Feng Shui for your Children. If Feng Shui principles are applied to children's bedrooms they will have better lives and be more successful. This article tells you how to use Feng Shui adjustments and cures to make your children's bedrooms a more nurturing place so they can grow and learn. Here's the beginning of the article, to get you started: Feng Shui changes can have a positive effect on children. They do not have to be aware of what you are doing or why you are doing it, as long as you make positive improvements with good intentions there will be good results for the children and for you. Please visit http://www.yourfengshuistore.com/Tips_ep_58.html to read the rest of the Feng Shui article. 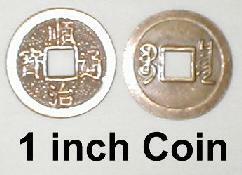 1 Inch Chinese Coins represent wealth because they are reproductions of coins that were used in ancient China. When you use these coins for your Feng Shui cures, your wealth is enhanced. This month we have a special Bulk Buy Deal on 1 Inch Chinese Coins. Make sure to check out all the great deals we have for you at our Feng Shui Sale page http://www.yourfengshuistore.com/On-Sale_c_23.html . At Zen Appeal the June Sale items have been added. We have great prices, just for you, on our Sale page. Some of our new sale items include our Painted Royal Elephant, Chinese Coin Cord Necklace with Knot, Silver Floating Heart Charm, Turtle Family, and our Fertility Elephant Key Chain. Plus our 1 Inch Coin Bulk Buy Deal and special Buy One Get One Free Lucky Cat deal. Please visit our Zen Appeal Feng Shui Product Sale page http://www.yourfengshuistore.com/On-Sale_c_23.html to see all the great discounts for yourself. Savings up to 50% off on some items! Some of our most popular items are on sale! Sale Prices starting as low as $2.50! Don't forget, Free Shipping for all orders $50 and over. Why is My Life Not Fulfilling? Copyright 2001-2019 Mark Jacobson and Leslie Jacobson All Rights Reserved. Simple theme. Powered by Blogger.